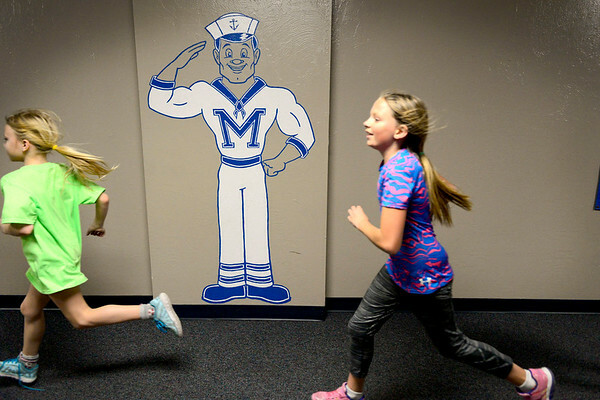 Second- and third-graders run through the hallways Thursday at Middlebury Elementary School, as part of the school's Run the Halls program. Students receive a popsicle stick after each completed lap, and every four sticks equals one mile. Physical Education teacher Angie Frey records the students performances throughout the six-week program to measure progress from beginning to end.